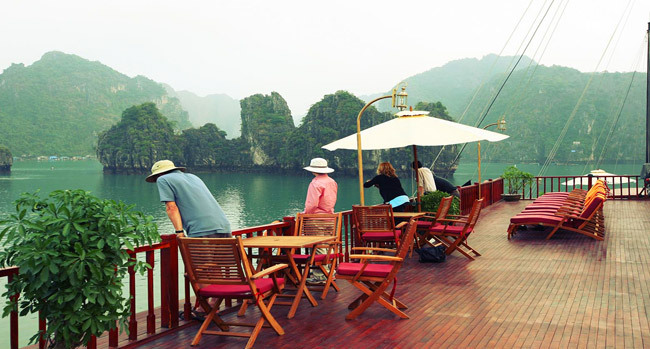 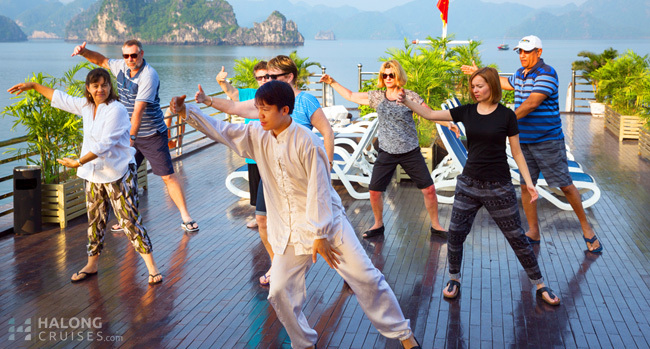 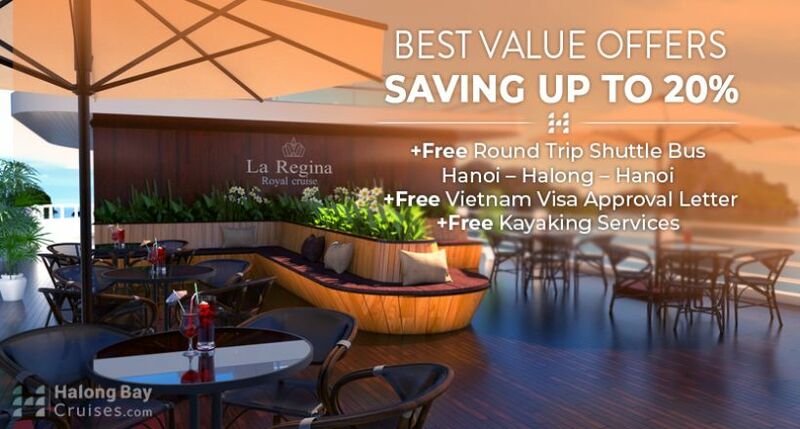 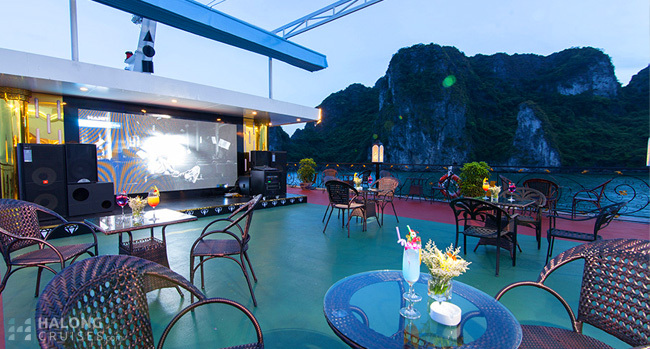 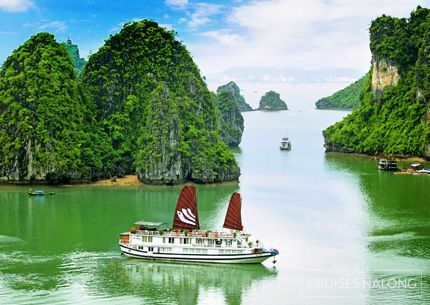 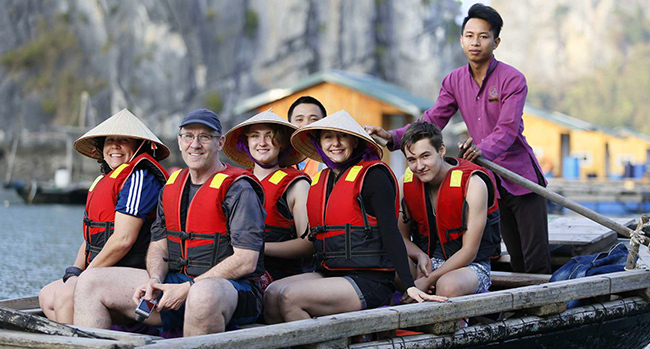 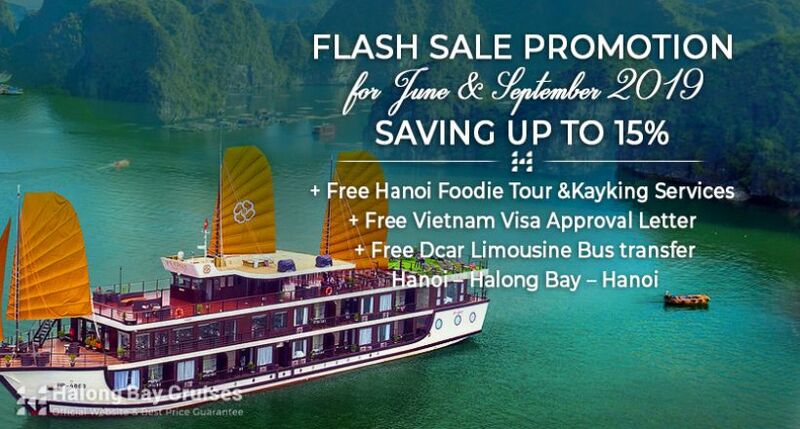 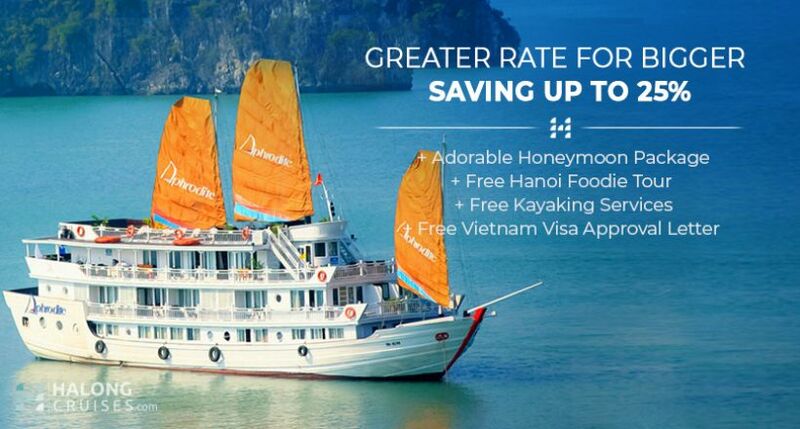 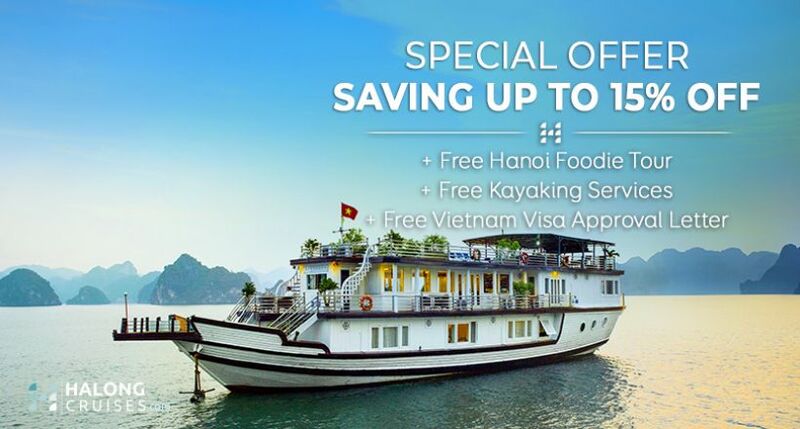 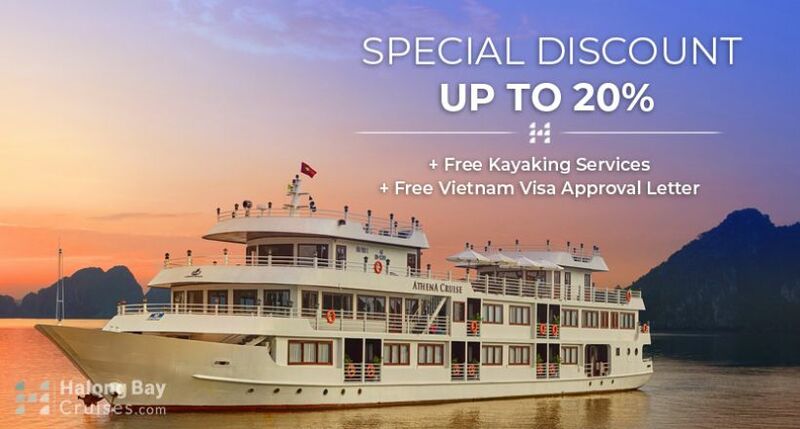 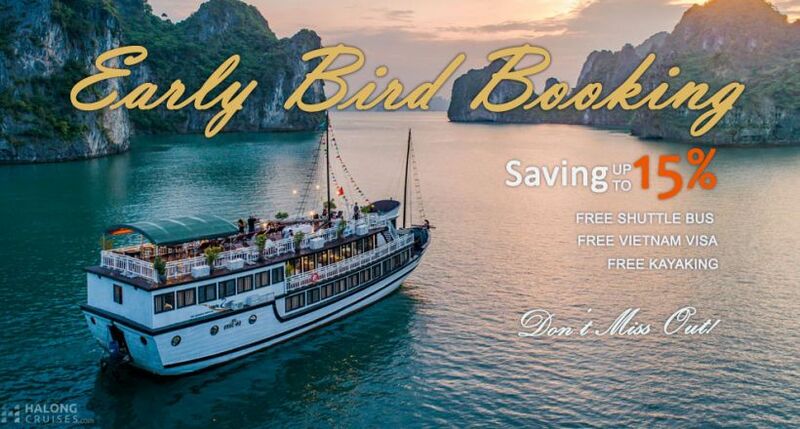 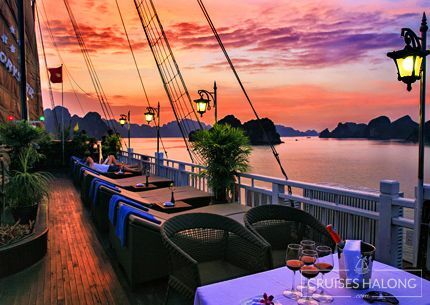 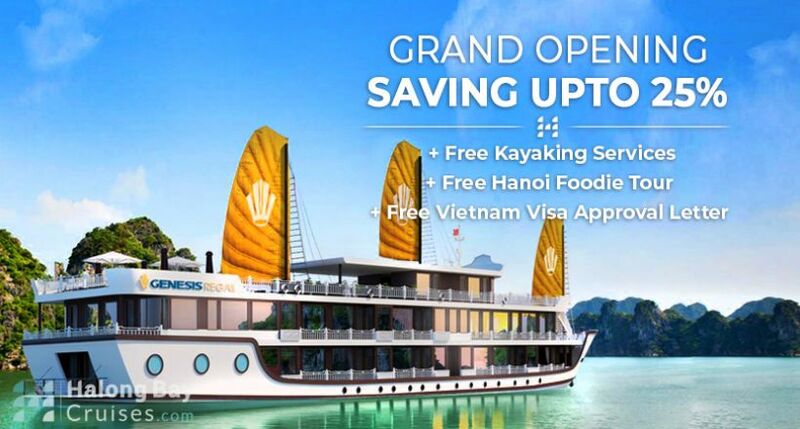 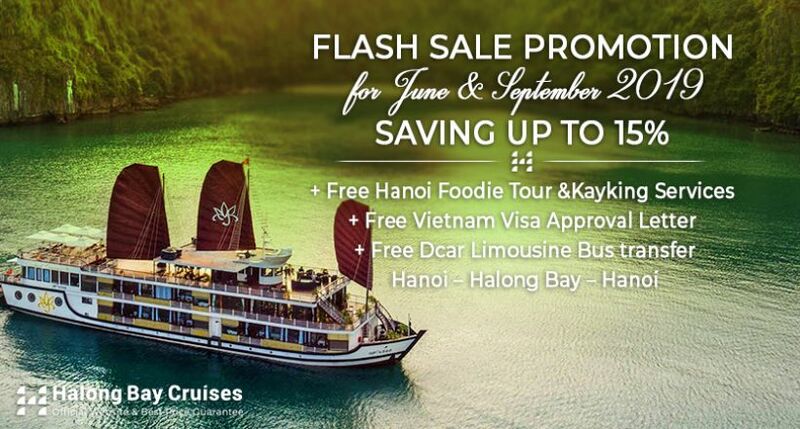 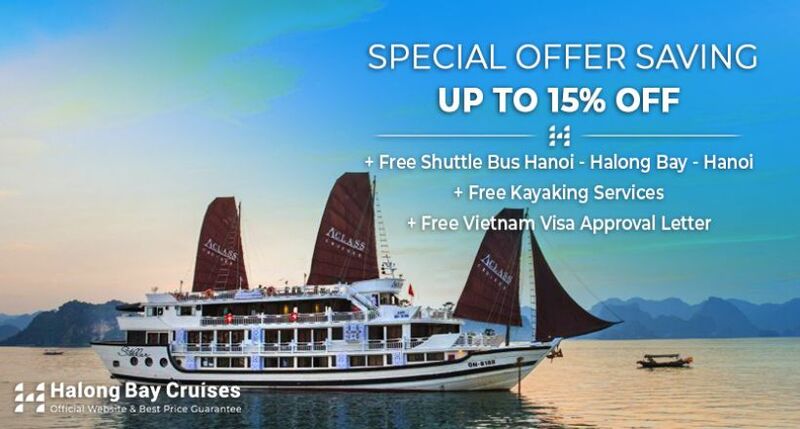 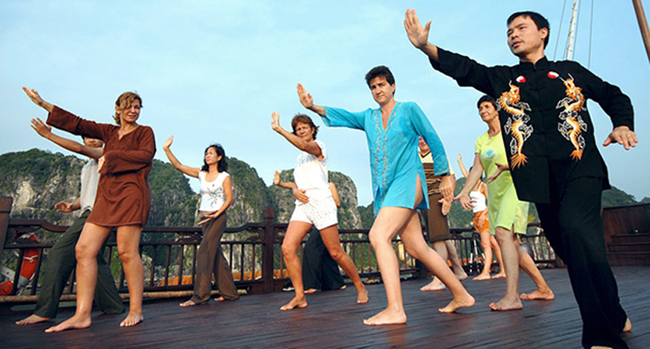 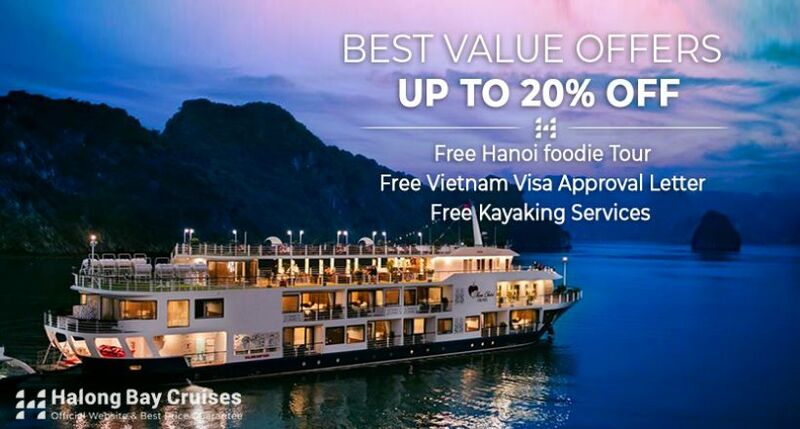 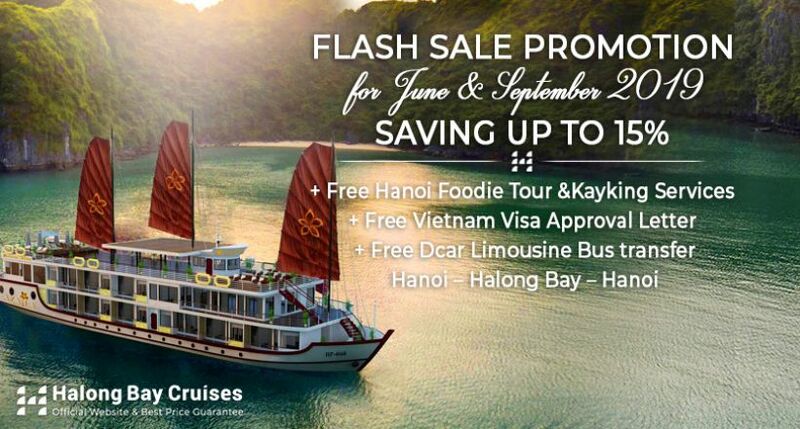 If you are travelling as a small group of 8 - 12 people, We suggest these following cruises for you due to its preferential price for group travelers and exciting atmosphere which will surely give you happy time in Halong Bay. 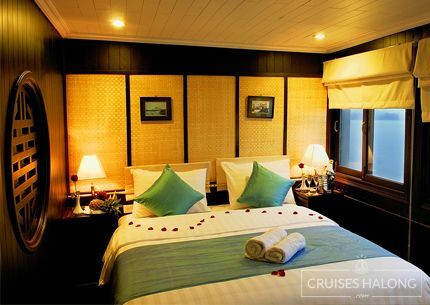 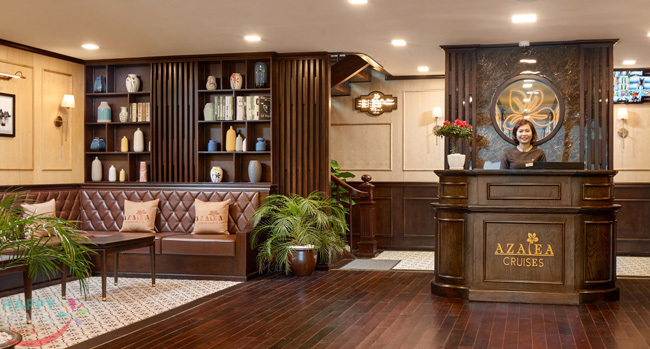 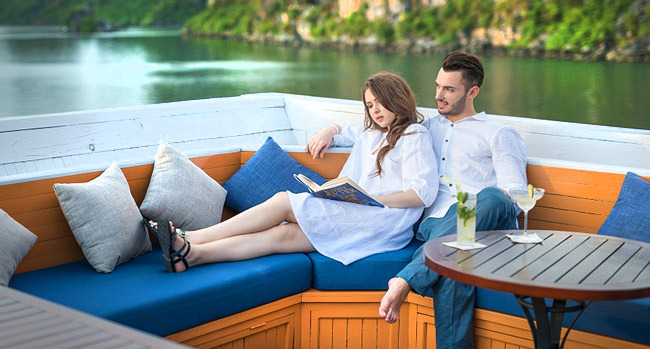 Style: Traditional boat 4 star standard quality for services and finest facilities of a wooden cruises Wooden cruise has 11 cabins, which maintain a small group to provide a quiet and privacy space for your clients. 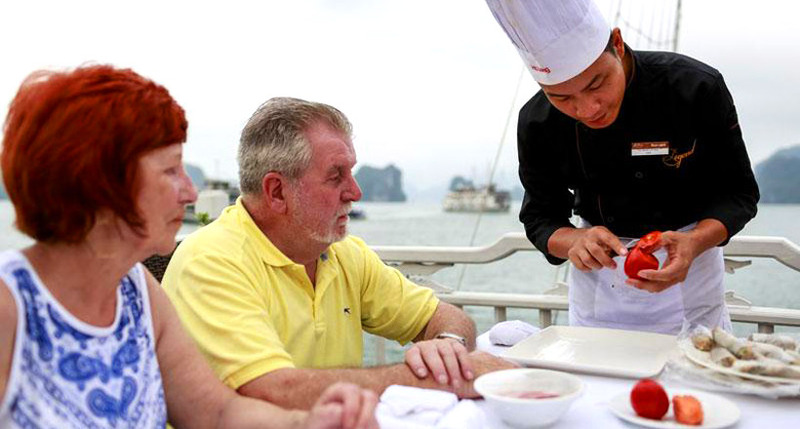 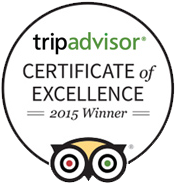 Our guide also can take better care for each individual. 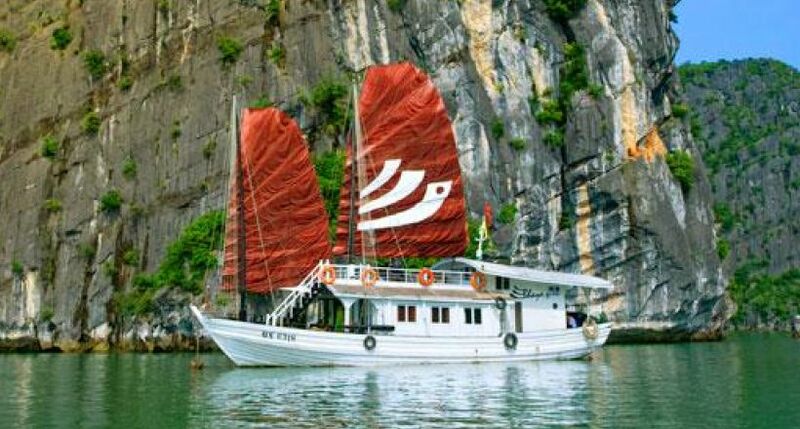 We choose Bai Tu Long Bay to launch our boat, which is more authentic and quiet to make sure your clients has the best experience on the bay. 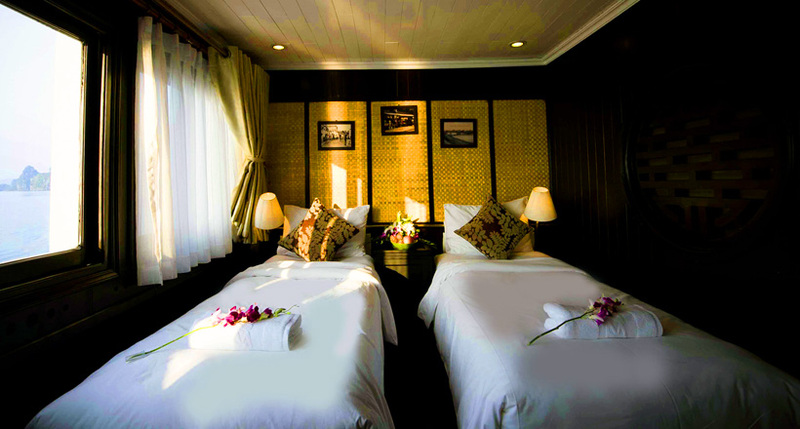 Many triple cabins (also can arrange 3 single beds) and connecting cabins for family or small groups. 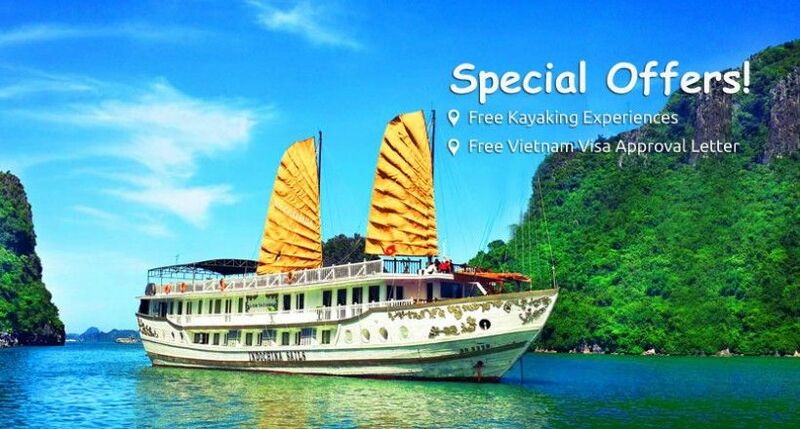 Kayak is included for both 02 days and 03 days trip. 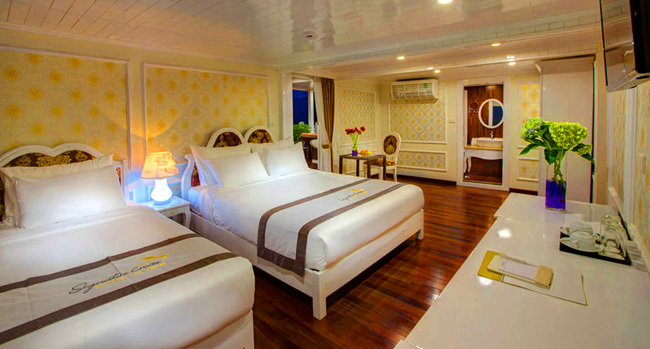 Fresh fruits are set up daily in all cabins for first time check in. 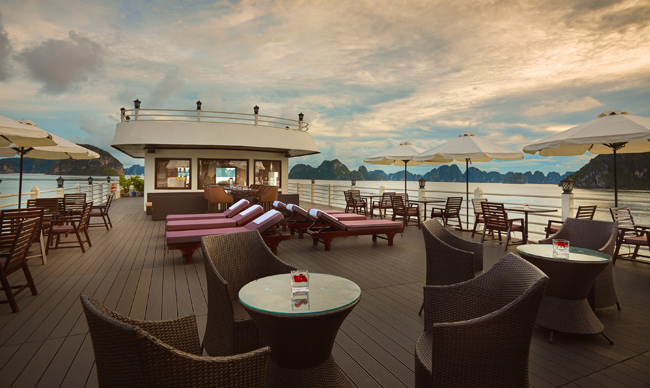 BBQ dinner is serving every night on our top deck. 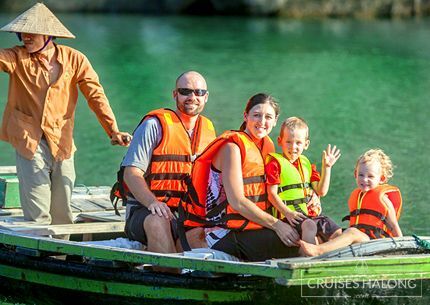 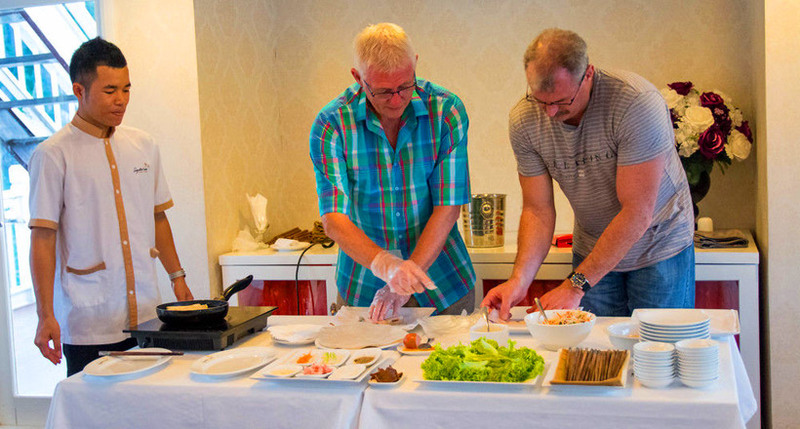 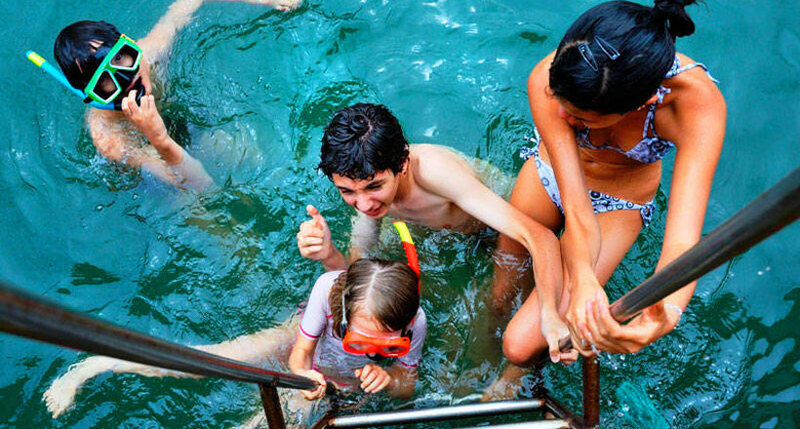 Many family activities at night rather than only squid fishing D-car luxury bus will make the road more comfortable Our main point is focusing on customer’s experiences and make them feel the best of the bay. 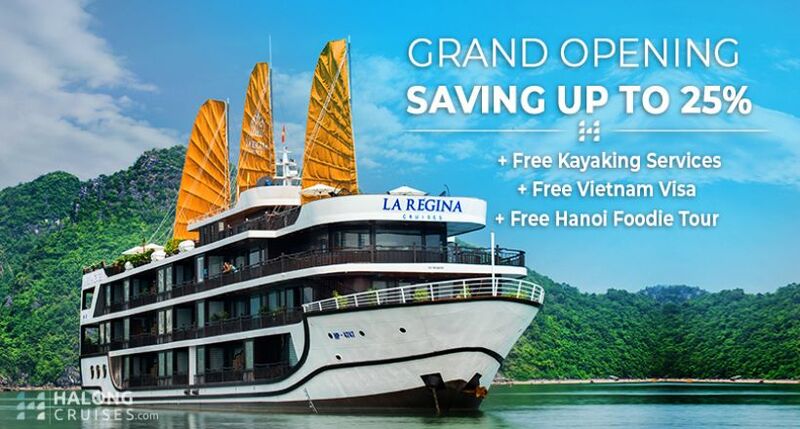 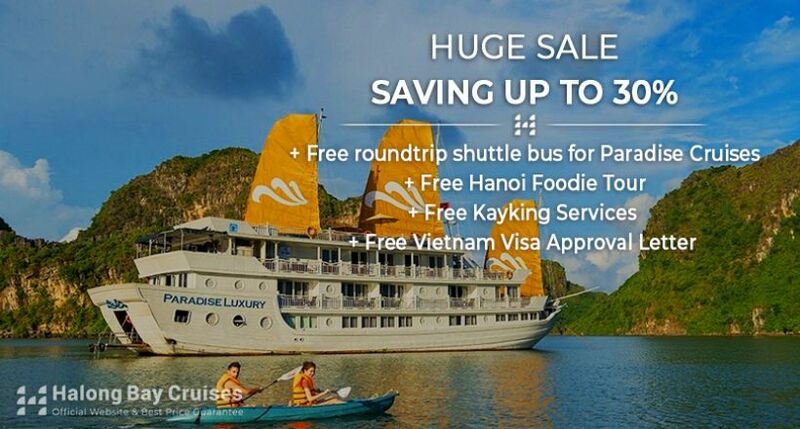 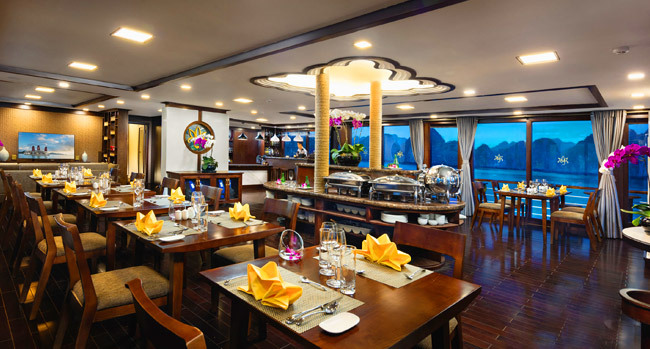 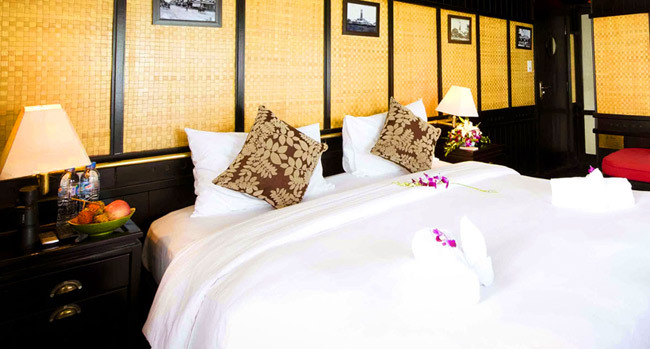 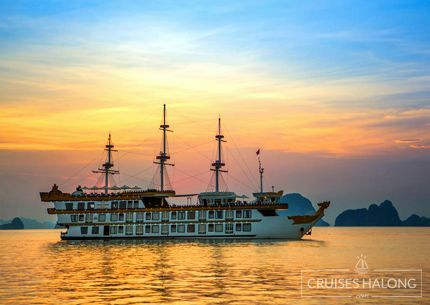 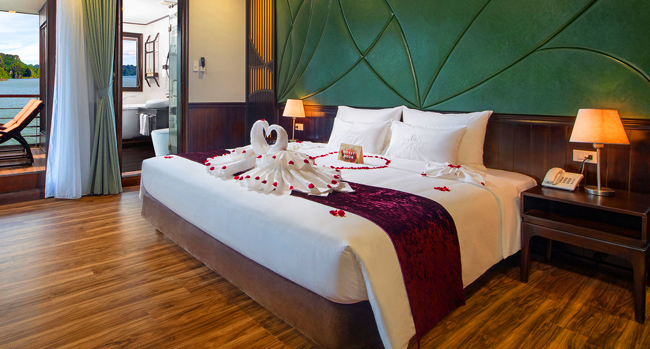 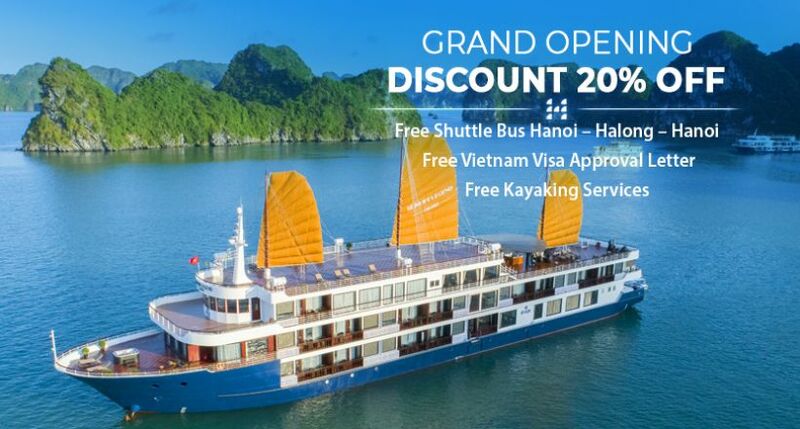 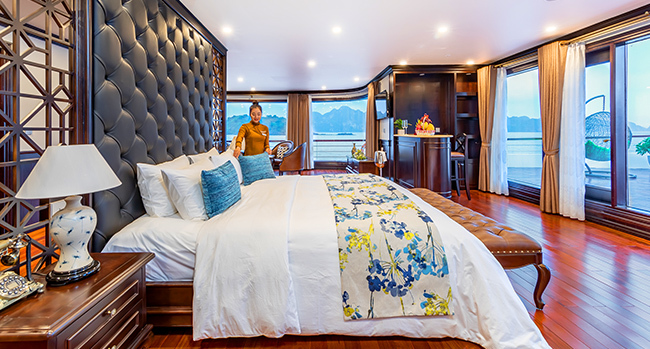 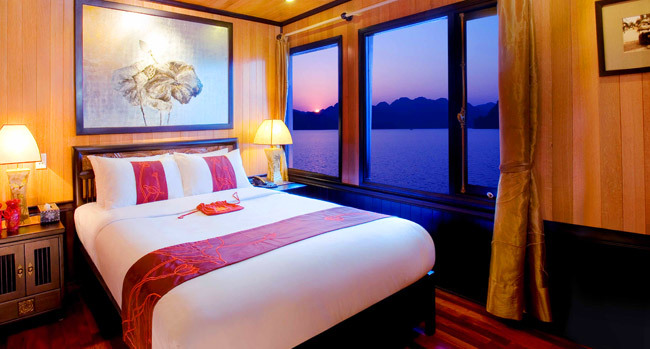 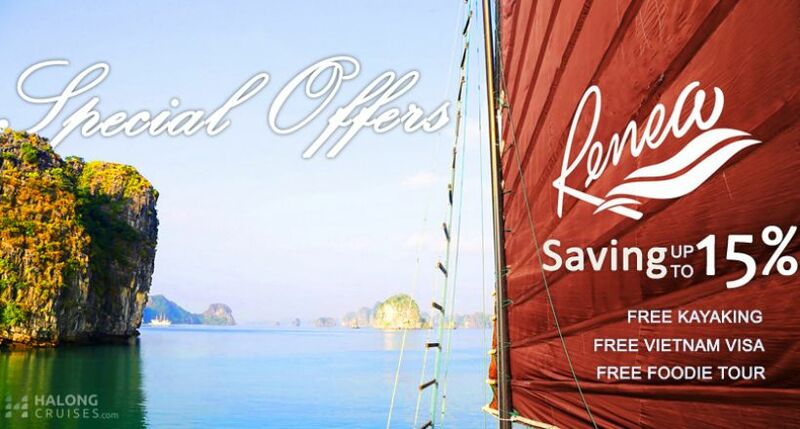 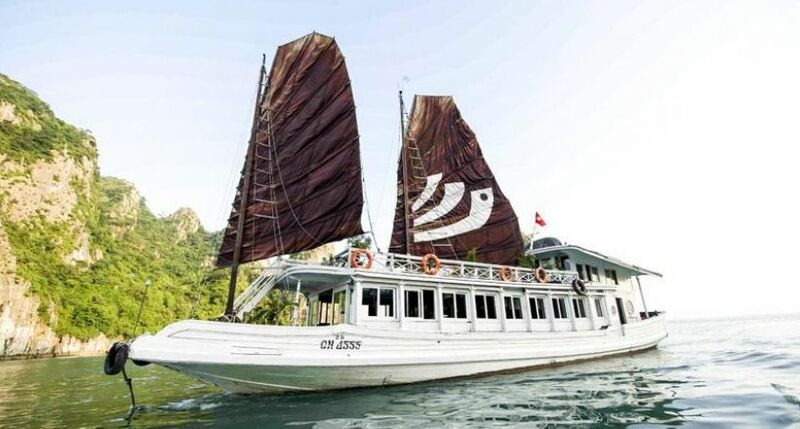 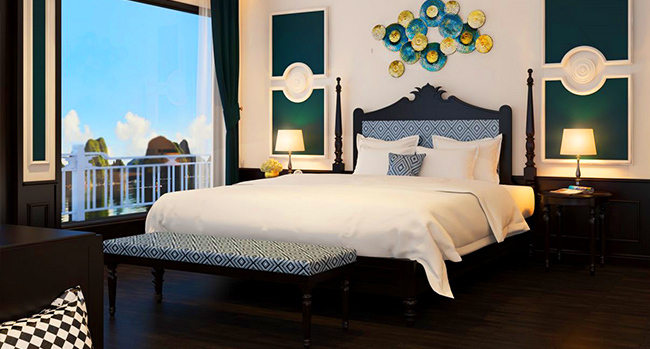 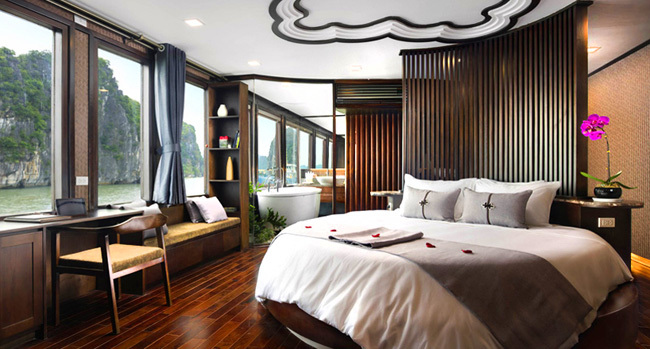 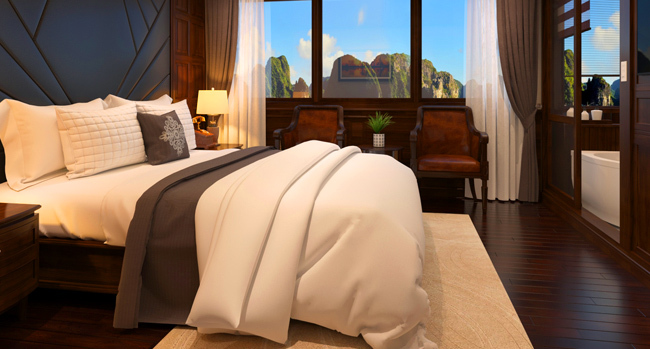 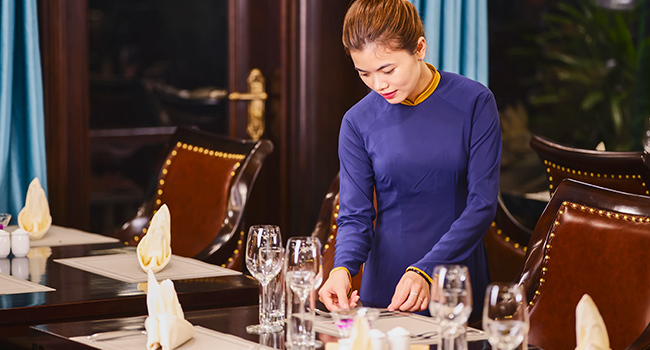 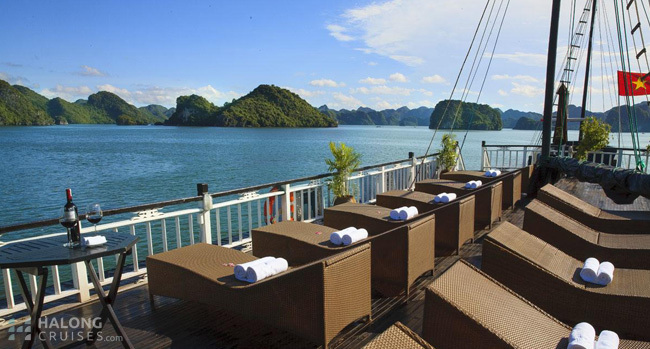 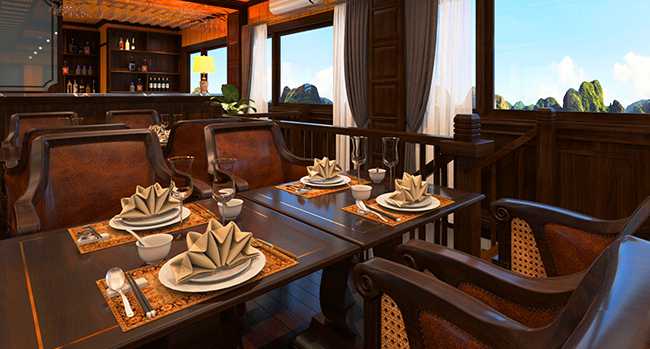 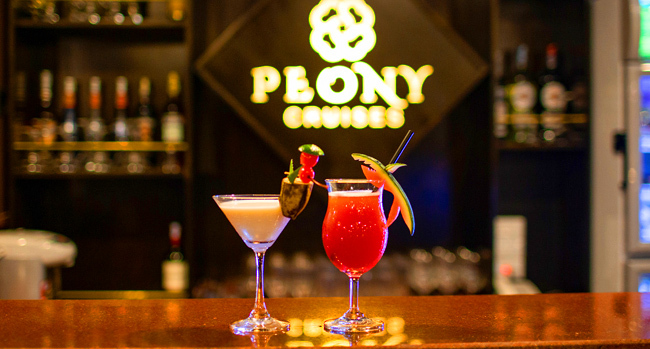 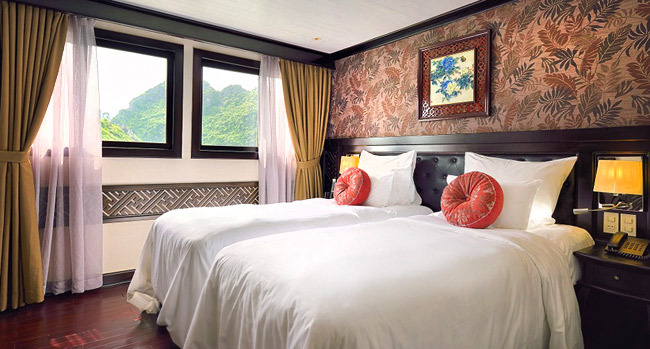 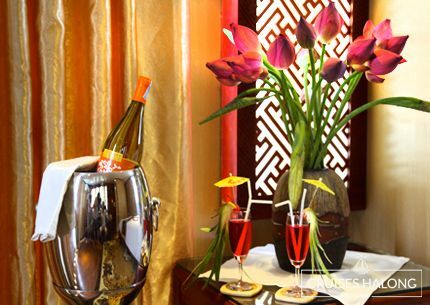 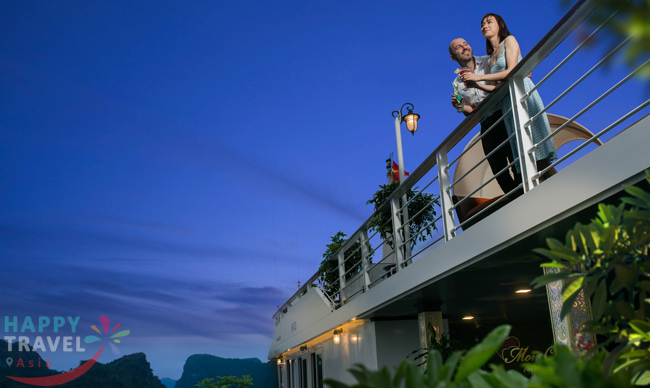 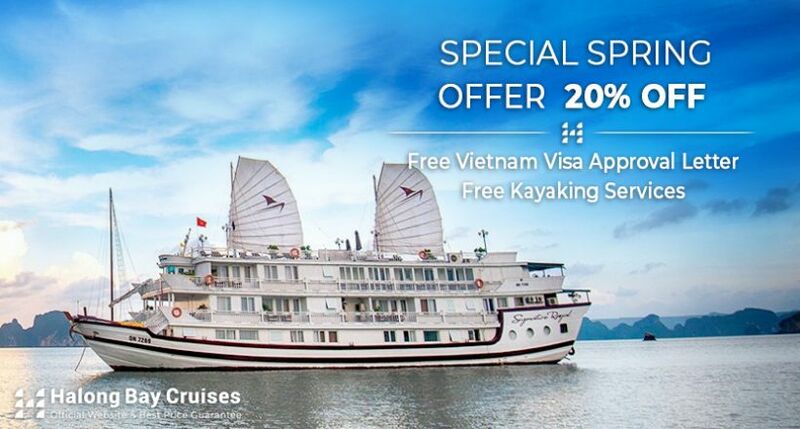 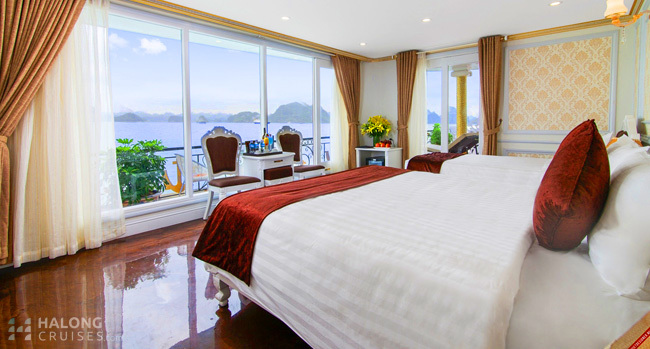 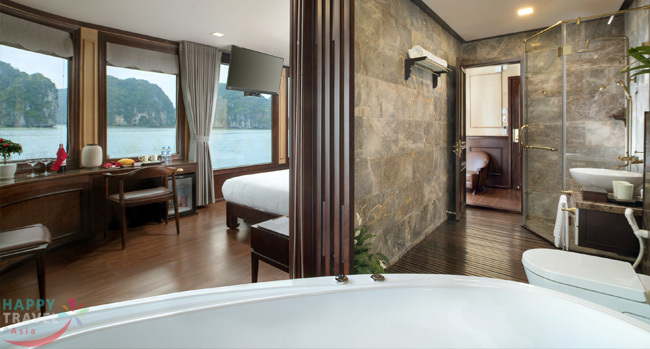 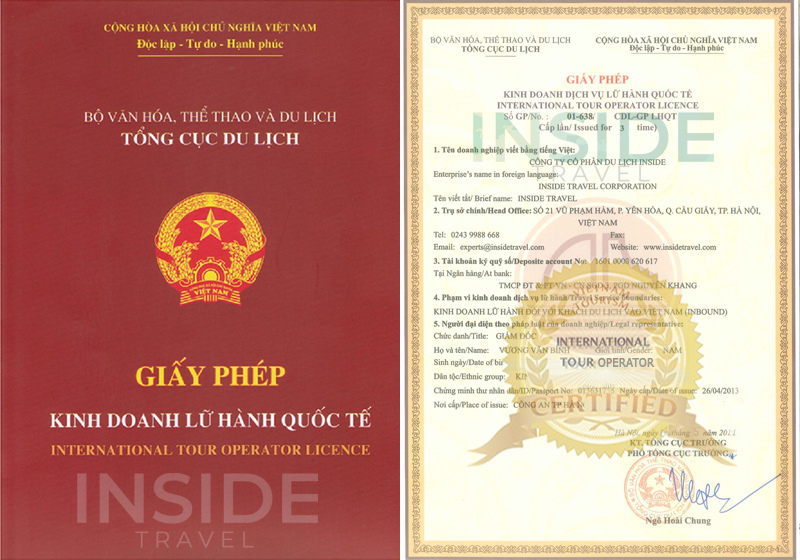 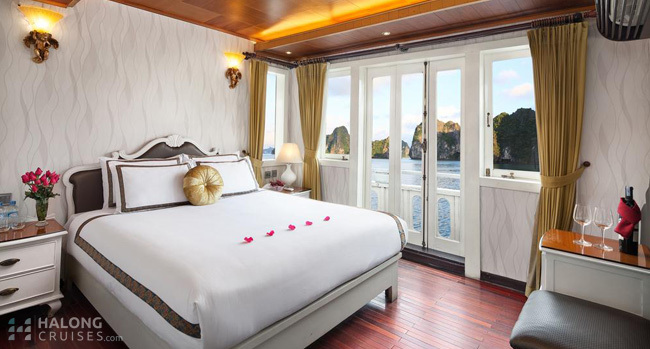 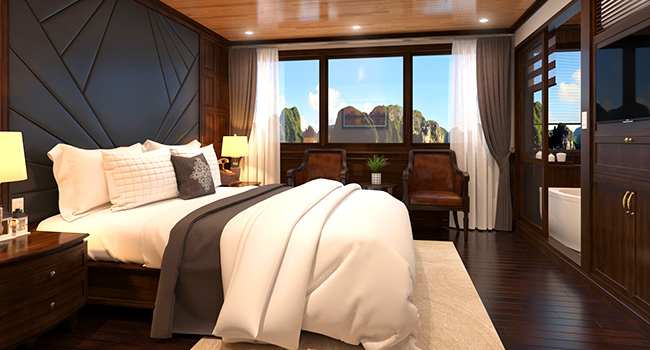 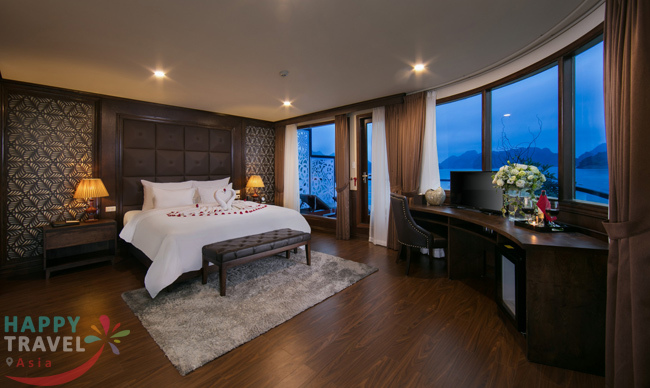 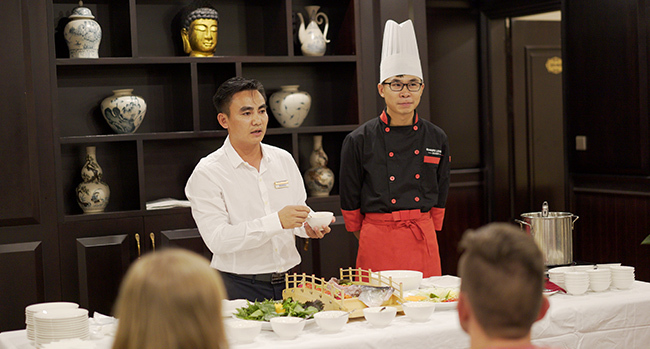 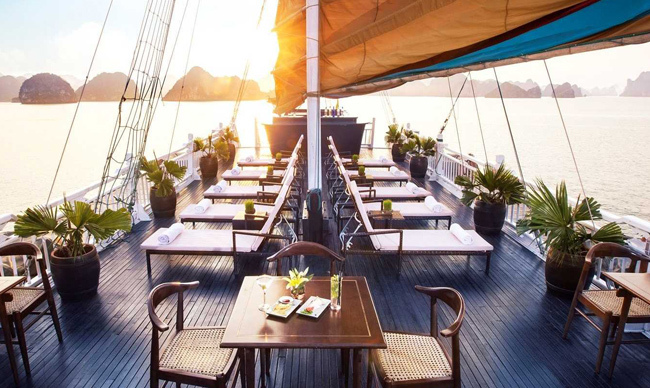 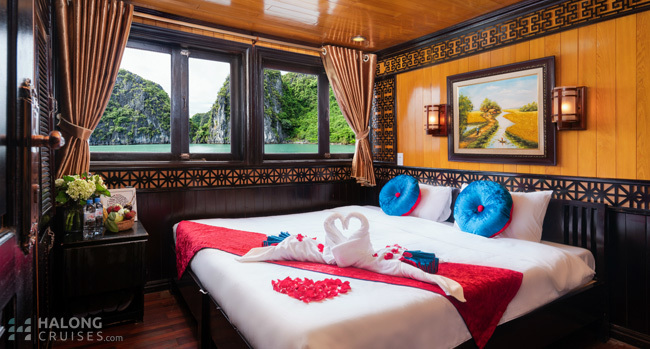 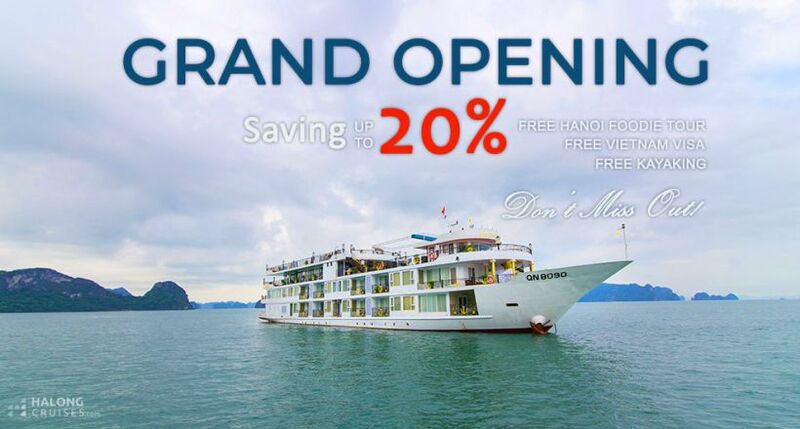 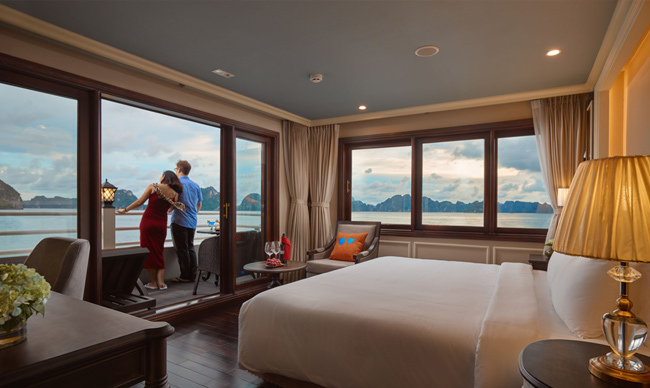 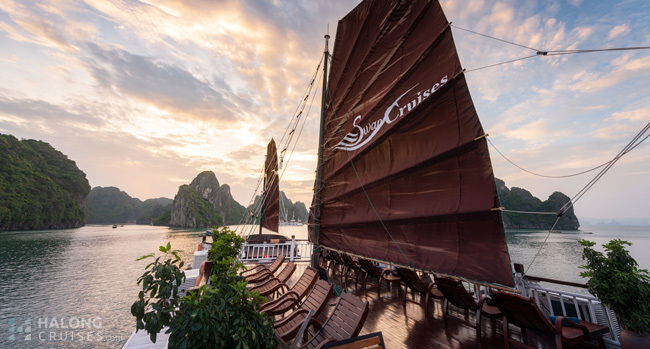 Style: French-Indochine Brandnew Metal luxurious cruise launched in early April, 2019 One of NEWEST luxurious cruises in Lan Ha Bay with ultimate luxurious facilities. 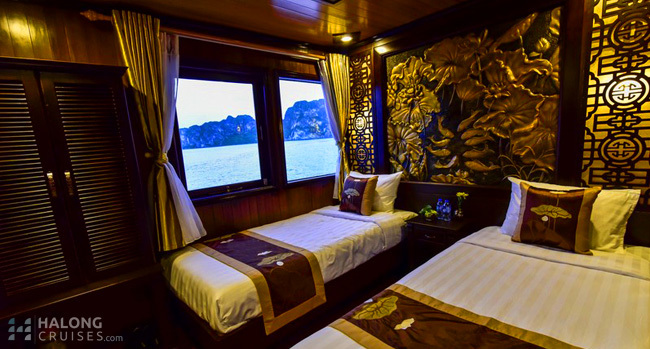 Only 2 hours driving from Hanoi center on high way roads Private Balcony in all cabins with spacious sea view rooms Extraordinary itinerary and new attraction: Discover and integrate in the life of fishermen in a fishing house on the Bay (exclusive) Well off-the-beaten-tracks in Lan Ha Bay Go Kayaking/rowing sampan in Dark-Light Cave, one the most beautiful water cave on the Bay Cycling in Hai Viet village (Cat Ba Island) on the second day (apply for 3 days tour) Admiring Cat Ba Island to explore one pristine karst cave.